The Jeep Wrangler has been an off-roading icon for decades, and yet its niche appeal has never worn off thanks to continuous improvements and advancements. 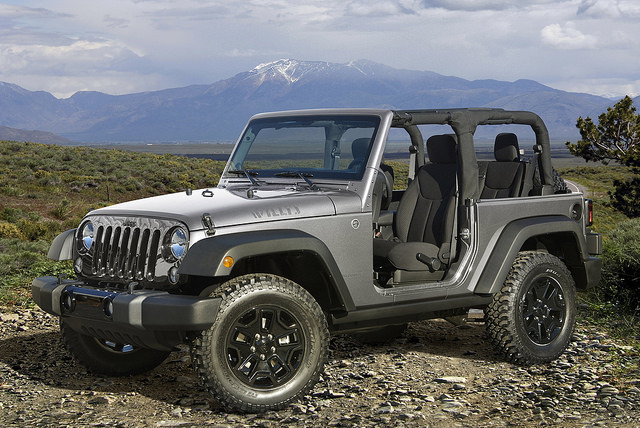 Jeep fans are always digging deeper to find out the latest news about their favorite brand, and the 2018 model of the Wrangler is bringing even more to the table. Recently, some leaks of the new Jeep Wrangler surfaced online thanks to enthusiasts’ prime sleuthing skills. One of the most noticeable aspects of the photo that surfaced was the new model’s more elongated profile. Rumor has it the 2018 Wrangler will be using aluminum in its construction, making it more lightweight despite its longer design. The standard engine is expected to be a Pentastar V6 engine, with hybrid powertrain and diesel engine options rolling out at later dates. Additionally, photos of the interior suggest a more high-tech infotainment system with charging slots and USB ports. Details on specs and other features in the new Jeep Wrangler won’t be available to us likely until the 2018 model makes its debut at the Los Angeles Auto Show this upcoming November. Until then, stay tuned for more news from Rothrock CDJR. Next Next post: The Finest Fall Views Across Pennsylvania — See Them While They Last!